Toyota's 2019 edition of the Highlander mid-size crossover SUV is now available at Bob Richards Toyota, serving Augusta, GA and Aiken, SC area drivers. The 2019 Highlander boasts standard three-row seating for up to eight, or a seven-passenger configuration for families that prefer second-row captain's chairs. Our dealership in North Augusta, SC stocks new Highlander SUVs for sale in a range of trims and configurations, all of which can be explored here on our website before you make your way over from the Evans, GA area or beyond for a tour and test drive. When you are looking for the ideal family crossover or SUV that can accommodate up to eight occupants in comfort, see the 2019 Highlander. This smooth-riding mid-size crossover offers the seating capacity of a full-size SUV, along with premium cabin technologies that you might not expect. For added convenience and security, 2019 Highlander SUVs like the XLE trim are offered with a Smart Key System with push-button start as well as a height-adjustable power liftgate and flip-up rear hatch. Family SUVs should come loaded with the latest safety systems, and that's exactly what you'll get with the new Toyota Highlander. The Toyota Safety Sense™ P (TSS-P) suite of driver-assist features is included with every new Highlander and goes a long way in providing you with driving peace of mind. Our sales staff invites you to tour the new Highlander lineup at Bob Richards Toyota to find your family's ideal next vehicle with all of the features you want at a driver-friendly price. 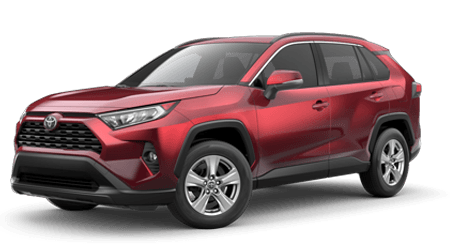 There are eight distinct trim levels available, including Highlander Hybrid models that pair a 4-cylinder engine with Toyota's Hybrid Synergy Drive for enhance city and highway fuel economy. Remember that every new Toyota comes with ToyotaCare, a no-cost maintenance plan that can be put to use at our Augusta, GA area service center. As you shop our online inventory of new Toyota vehicles, don't forget to apply for financing and see what your current vehicle is worth as a trade! 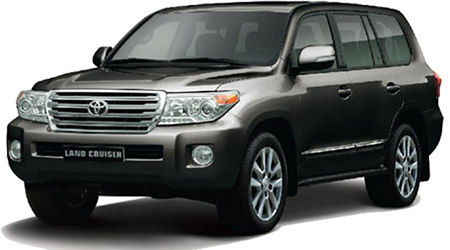 Interior Features: Front and rear air conditioning with air filter and second- and third-row vents, Integrated backup camera with projected path, 4.2-in. color LCD Multi-Information Display in meter cluster with odometer, current/average fuel economy, cruising range and ECO Driving Indicator, Fabric-trimmed front- and second-row seats; 6-way adjustable driver's seat; 4-way adjustable front passenger seat; 60/40 split, sliding and reclining fold-flat second-row seats, Fabric-trimmed 60/40 split, fold-flat third-row seat with sliding headrests and recline function, Gated shift lever with knob, silver metallic shift bezel and LED indicator illumination, Tilt/telescopic 3-spoke steering wheel with metallic accents and audio, Multi-Information Display (MID), Bluetooth® hands-free phone, voice-command Dynamic Radar Cruise Control (DRCC), Lane Departure Alert (LDA) and multimedia controls, Optitron instrumentation with blue-illuminated speedometer and tachometer and 4.2-in. color LCD Multi-Information Display, Soft-touch upper door trim with metallic accent, fabric-covered door armrest area with black interior door handles, Remote keyless entry system with remote illuminated entry, Power windows with driver and front passenger auto up/down and jam protection, Rear liftgate window defogger, Power door locks with shift-linked automatic lock/unlock feature, Day/night rearview mirror, Overhead console with maplights, sunglasses storage and conversation mirror, 24.5-liter soft-touch roll-top center console with removable utility tray, Soft-touch in-dash shelf with easy cable management feature, Eight cup holders and four bottle holders, Dual sun visors with sliding function and illuminated vanity mirrors, Two 12V auxiliary power outlets (one front and one center console), Five total USB ports (three front and two second row), Four cargo area tie-down cargo hooks, Cargo area lights, Front- and second-row-seat reading lights, Digital clock. Exterior Features: Projector-beam halogen chrome-accent headlights with auto on/off feature, Daytime Running Lights (DRL) with on/off feature, LED taillights and stop lights, Color-keyed heated power outside mirrors with turn signal lights and folding feature, Color-keyed outside door handles, 18-in. split 5-spoke machined alloy wheels and black center caps with P245/60R18 105S tires, Washer-linked variable intermittent windshield wipers and intermittent rear wiper, Windshield wiper de-icer, UV reduction glass on all windows, High Solar Energy-Absorbing (HSEA) glass on front and rear side windows, Privacy glass on rear side, quarter and liftgate windows, Black side rocker panels, Color-keyed rear spoiler with LED center high-mount stop light. Interior Features: Three-zone automatic climate control with air filter, separate second-row control panel, individual temperature settings for driver, front passenger and rear-seat passengers, and second- and third-row vents, Integrated backup camera with projected path, 4.2-in. color LCD Multi-Information Display in meter cluster with odometer, current/average fuel economy, cruising range and ECO Driving Indicator, Fabric- and SofTex®-trimmed front- and second-row seats; 10-way power-adjustable driver's seat including power thigh and lumbar support; 4-way adjustable front passenger seat; 60/40 split, sliding and reclining fold-flat second-row seats, Fabric and SofTex®-trimmed 60/40 split, fold-flat third-row seat with sliding headrests and recline function, Gated shift lever with silver metallic/leather-trimmed knob, silver metallic shift bezel and LED indicator illumination, Leather-trimmed tilt/telescopic 3-spoke steering wheel with metallic accents and audio, Multi-Information Display (MID), Bluetooth® hands-free phone, voice-command Dynamic Radar Cruise Control (DRCC), Lane Departure Alert (LDA) and multimedia controls, Optitron instrumentation with blue-illuminated speedometer and tachometer and 4.2-in. color LCD Multi-Information Display, Soft-touch upper door trim with metallic accent, leatherette-trimmed door armrest area with black interior door handles, Remote keyless entry system with remote illuminated entry, Power windows with driver and front passenger auto up/down and jam protection, Rear liftgate window defogger, Power door locks with shift-linked automatic lock/unlock feature, Day/night rearview mirror, Overhead console with maplights, sunglasses storage and conversation mirror, 24.5-liter soft-touch roll-top center console with removable utility tray, Soft-touch in-dash shelf with easy cable management feature, Eight cup holders and four bottle holders, Dual sun visors with sliding function and illuminated vanity mirrors, Two 12V auxiliary power outlets (one front and one center console), Five total USB ports (three front and two second row), Four cargo area tie-down cargo hooks, Cargo area lights, Front- and second-row-seat reading lights, Digital clock. Exterior Features: Projector-beam halogen chrome-accent headlights with auto on/off feature, Daytime Running Lights (DRL) with on/off feature, Integrated fog lights, LED taillights and stop lights, Color-keyed heated power outside mirrors with turn signal lights and folding feature, Color-keyed outside door handles, 18-in. split 5-spoke machined alloy wheels with gunmetal-gray finish and black center caps with P245/60R18 105S tires, Washer-linked variable intermittent windshield wipers and intermittent rear wiper, Windshield wiper de-icer, UV reduction glass on all windows, High Solar Energy-Absorbing (HSEA) glass on front and rear side windows, Privacy glass on rear side, quarter and liftgate windows, Flip-up rear hatch window, Height-adjustable power liftgate with jam protection, Black side rocker panels, Color-keyed rear spoiler with LED center high-mount stop light. Interior Features: Three-zone automatic climate control with air filter, separate second-row control panel, individual temperature settings for driver, front passenger and rear-seat passengers, and second- and third-row vents, Integrated backup camera with projected path, 4.2-in. color LCD Multi-Information Display in meter cluster with odometer, current/average fuel economy, cruising range, average speed, AWD torque distribution (AWD gas models only), cruise control guide, navigation34 with turn-by-turn directions, audio status, hands-free incoming call notices, telephone information, ECO Driving Indicator and energy monitor (hybrid models only), Leather-trimmed front- and second-row seats; heated front seats; 12-way power-adjustable driver's seat including power thigh and lumbar support; 4-way power-adjustable front passenger seat; second-row captain's chairs with side table, SofTex®-trimmed 60/40 split, fold-flat third-row seat with sliding headrests and recline function, Gated shift lever with silver metallic/leather-trimmed knob, silver metallic shift bezel and LED indicator illumination, Leather-trimmed tilt/telescopic 3-spoke steering wheel with metallic accents and audio, Multi-Information Display (MID), Bluetooth® hands-free phone, voice-command Dynamic Radar Cruise Control (DRCC), Lane Departure Alert (LDA) and multimedia controls, Optitron instrumentation with blue-illuminated speedometer and tachometer/hybrid system power meter (hybrid models only) and 4.2-in. color LCD Multi-Information Display, Soft-touch upper door trim with metallic accent, leatherette-trimmed door armrest area with satin chrome interior door handles, Smart Key System on front doors and liftgate with Push Button Start and remote keyless entry system with illuminated entry, Power windows with driver and front passenger auto up/down and jam protection, Rear liftgate window defogger, Power door locks with shift-linked automatic lock/unlock feature, Auto-dimming rearview mirror, Overhead console with maplights, sunglasses storage, conversation mirror and HomeLink® universal transceiver, 24.5-liter soft-touch roll-top center console with removable utility tray, Soft-touch in-dash shelf with easy cable management feature, Eight cup holders and four bottle holders, Dual sun visors with sliding function and illuminated vanity mirrors, Two 12V auxiliary power outlets (one front and one center console), One 120V auxiliary AC power outlet (second row), Five total USB ports (three front and two second row), Four cargo area tie-down cargo hooks, Cargo area lights, Front- and second-row-seat reading lights, Second-row retractable window sunshades, Digital clock, Driver Easy Speak — driver voice amplification. Exterior Features: Projector-beam halogen chrome-accent headlights with auto on/off feature, Daytime Running Lights (DRL) with on/off feature, Integrated fog lights, LED taillights and stop lights, Color-keyed heated power outside mirrors with turn signal lights and blind spot warning indicators, and folding features, Color-keyed outside door handles, Power tilt/slide moonroof with sunshade and jam protection, 18-in. turbine-look alloy wheels with painted finish and black center caps with P245/60R18 105S tires, Washer-linked variable intermittent windshield wipers and intermittent rear wiper, Windshield wiper de-icer, UV reduction glass on all windows, High Solar Energy-Absorbing (HSEA) glass on front and rear side windows, Privacy glass on rear side, quarter and liftgate windows, Flip-up rear hatch window, Height-adjustable power liftgate with jam protection, Black side rocker panels, Color-keyed rear spoiler with LED center high-mount stop light, Chromtec® roof rails. Interior Features: Three-zone automatic climate control with air filter, separate second-row control panel, individual temperature settings for driver, front passenger and rear-seat passengers, and second- and third-row vents, Integrated backup camera with projected path, 4.2-in. color LCD Multi-Information Display in meter cluster with odometer, current/average fuel economy, cruising range, average speed, AWD torque distribution (AWD gas models only), cruise control guide, navigation34 with turn-by-turn directions, audio status, hands-free incoming call notices, telephone information, ECO Driving Indicator and energy monitor (hybrid models only), Leather-trimmed front- and second-row seats; heated front seats; 12-way power-adjustable driver's seat including power thigh and lumbar support; 4-way power-adjustable front passenger seat; second-row captain's chairs with side table, SofTex®-trimmed 60/40 split, fold-flat third-row seat with sliding headrests and recline function, Gated shift lever with silver metallic/leather-trimmed knob, silver metallic shift bezel and LED indicator illumination, Leather-trimmed tilt/telescopic 3-spoke steering wheel with metallic accents and audio, Multi-Information Display (MID), Bluetooth® hands-free phone, voice-command Dynamic Radar Cruise Control (DRCC), Lane Departure Alert (LDA) and multimedia controls, Optitron instrumentation with blue-illuminated speedometer and tachometer/hybrid system power meter (hybrid models only) and 4.2-in. color LCD Multi-Information Display, Soft-touch upper door trim with technical pattern accent, leatherette-trimmed door armrest area with satin chrome interior door handles, Blue LED ambient lighting on interior of front and rear doors and in-dash shelf, Smart Key System on front doors and liftgate with Push Button Start and remote keyless entry system with illuminated entry, Power windows with driver and front passenger auto up/down and jam protection, Rear liftgate window defogger, Power door locks with shift-linked automatic lock/unlock feature, Auto-dimming rearview mirror, Overhead console with maplights, sunglasses storage, conversation mirror and HomeLink® universal transceiver, 24.5-liter soft-touch roll-top center console with removable utility tray, Soft-touch in-dash shelf with easy cable management feature, Eight cup holders and four bottle holders, Dual sun visors with sliding function and illuminated vanity mirrors, Two 12V auxiliary power outlets (one front and one center console), One 120V auxiliary AC power outlet (second row), Five total USB ports (three front and two second row), Four cargo area tie-down cargo hooks, Cargo area lights, Front- and second-row-seat reading lights, Second-row retractable window sunshades, Digital clock, Driver Easy Speak — driver voice amplification. Exterior Features: Projector-beam halogen Black sport headlights w/LED Daytime Running Lights (DRL) and auto on/off feature, Headlight-integrated LED Daytime Running Lights (DRL) with on/off feature, Integrated Black LED fog lights, LED Black sport accent taillights and stop lights, Color-keyed heated power outside mirrors with turn signal lights and blind spot warning indicators, and folding features, Color-keyed outside door handles, Power tilt/slide moonroof with sunshade and jam protection, 19-in. multi-spoke alloy wheels with black finish and black center caps with P245/55R19 105S tires, Washer-linked variable intermittent windshield wipers and intermittent rear wiper, Windshield wiper de-icer, UV reduction glass on all windows, High Solar Energy-Absorbing (HSEA) glass on front and rear side windows, Privacy glass on rear side, quarter and liftgate windows, Flip-up rear hatch window Height-adjustable power liftgate with jam protection, Black side rocker panels, Color-keyed rear spoiler with LED center high-mount stop light, Dark-painted roof rails. Interior Features: Three-zone automatic climate control with air filter, separate second-row control panel, individual temperature settings for driver, front passenger and rear-seat passengers, and second- and third-row vents, Integrated backup camera with dynamic gridlines, 4.2-in. color LCD Multi-Information Display in meter cluster with odometer, current/average fuel economy, cruising range, average speed, AWD torque distribution (AWD gas models only), cruise control guide, navigation with turn-by-turn directions, audio status, hands-free incoming call notices, telephone information, ECO Driving Indicator and energy monitor (hybrid models only), Perforated leather-trimmed heated and ventilated front-row seats; 12-way power-adjustable driver's seat with memory function and power thigh and lumbar support; 4-way power-adjustable front passenger seat; perforated leather-trimmed second-row captain's chairs with side table, SofTex®-trimmed 60/40 split, fold-flat third-row seat with sliding headrests and recline function, Gated shift lever with silver metallic/leather-trimmed knob, silver metallic shift bezel and LED indicator illumination, Leather-trimmed tilt/telescopic 3-spoke steering wheel with metallic accents and audio, Multi-Information Display (MID), Bluetooth® hands-free phone, voice-command Dynamic Radar Cruise Control (DRCC), Lane Departure Alert (LDA) and multimedia controls, Optitron instrumentation with blue-illuminated speedometer and tachometer/hybrid system power meter (hybrid models only) and 4.2-in. color LCD Multi-Information Display, Soft-touch upper door trim with wood-grain accent, leatherette-trimmed door armrest area with satin chrome interior door handles, Blue LED ambient lighting on interior of front and rear doors and in-dash shelf, Smart Key System on front doors and liftgate with Push Button Start and remote keyless entry system with illuminated entry, Power windows with auto up/down and jam protection in all positions, Rear liftgate window defogger, Power door locks with shift-linked automatic lock/unlock feature, Auto-dimming rearview mirror, Overhead console with maplights, sunglasses storage, conversation mirror and HomeLink® universal transceiver, 24.5-liter soft-touch roll-top center console with removable utility tray, Soft-touch in-dash shelf with easy cable management feature, Eight cup holders and four bottle holders, Dual sun visors with sliding function and illuminated vanity mirrors, Two 12V auxiliary power outlets (one front and one center console), One 120V auxiliary AC power outlet (second row), Five total USB ports53 (three front and two second row), Four cargo area tie-down cargo hooks, Cargo area lights, Front- and second-row-seat reading lights, Second-row retractable window sunshades, Rear cargo area tonneau cover, Digital clock, Driver Easy Speak — driver voice amplification. Exterior Features: Projector-beam halogen smoked-chrome headlights w/LED Daytime Running Lights (DRL) and auto on/off feature, Headlight-integrated LED Daytime Running Lights (DRL) with on/off feature, Integrated chrome LED fog lights, LED taillights and stop lights, Color-keyed heated power outside mirrors with memory, turn signal lights and blind spot warning indicators, and puddle lights with folding feature, Color-keyed outside door handles, Power tilt/slide moonroof with sunshade and jam protection, 19-in. 5-spoke Chromtec® alloy wheels and black center caps with P245/55R19 105S tires, Washer-linked variable intermittent windshield wipers and intermittent rear wiper, Windshield wiper de-icer, UV reduction glass on all windows, High Solar Energy-Absorbing (HSEA) glass on front and rear side windows, Privacy glass on rear side, quarter and liftgate windows, Flip-up rear hatch window, Height-adjustable power liftgate with jam protection, Color-keyed side rocker panels, Color-keyed rear spoiler with LED center high-mount stop light, Chromtec® roof rails, Rear bumper chrome garnish. Interior Features: Front and rear air conditioning with air filter and second- and third-row vents, Integrated backup camera with projected path, 4.2-in. color LCD Multi-Information Display in meter cluster with odometer, current/average fuel economy, cruising range and ECO Driving Indicator, Fabric-trimmed front- and second-row seats; 6-way adjustable driver's seat; 4-way adjustable front passenger seat; 60/40 split, sliding and reclining fold-flat second-row seats, Fabric-trimmed 60/40 split, fold-flat third-row seat with sliding headrests and recline function, Gated shift lever with knob, silver metallic shift bezel and LED indicator illumination, Tilt/telescopic 3-spoke steering wheel with metallic accents and audio, Multi-Information Display (MID), Bluetooth® hands-free phone, voice-command Dynamic Radar Cruise Control (DRCC), Lane Departure Alert (LDA) and multimedia controls, Optitron instrumentation with blue-illuminated speedometer and tachometer/hybrid system power meter (hybrid models only) and 4.2-in. color LCD Multi-Information Display, Soft-touch upper door trim with metallic accent, fabric-covered door armrest area with black interior door handles, Smart Key System on front doors and liftgate with Push Button Start and remote keyless entry system with illuminated entry, Power windows with driver and front passenger auto up/down and jam protection, Rear liftgate window defogger, Power door locks with shift-linked automatic lock/unlock feature, Day/night rearview mirror, Overhead console with maplights, sunglasses storage and conversation mirror, 24.5-liter soft-touch roll-top center console with removable utility tray, Soft-touch in-dash shelf with easy cable management feature, Eight cup holders and four bottle holders, Dual sun visors with sliding function and illuminated vanity mirrors, Two 12V auxiliary power outlets (one front and one center console), Five total USB ports (three front and two second row), Four cargo area tie-down cargo hooks, Cargo area lights, Front- and second-row-seat reading lights, Digital clock. Exterior Features: Projector-beam halogen chrome-accent headlights with auto on/off feature, Daytime Running Lights (DRL) with on/off feature, LED taillights and stop lights, Hybrid Blue accent badges, Color-keyed heated power outside mirrors with turn signal lights and folding feature, Color-keyed outside door handles, 18-in. split 5-spoke machined alloy wheels and black center caps with P245/60R18 105S tires, Black front and rear mudguards, Washer-linked variable intermittent windshield wipers and intermittent rear wiper, Windshield wiper de-icer, UV reduction glass on all windows, High Solar Energy-Absorbing (HSEA) glass on front and rear side windows, Privacy glass on rear side, quarter and liftgate windows, Flip-up rear hatch window, Black side rocker panels, Color-keyed rear spoiler with LED center high-mount stop light. Interior Features: Three-zone automatic climate control with air filter, separate second-row control panel, individual temperature settings for driver, front passenger and rear-seat passengers, and second- and third-row vents, Integrated backup camera with projected path, 4.2-in. color LCD Multi-Information Display in meter cluster with odometer, current/average fuel economy, cruising range, average speed, AWD torque distribution (AWD gas models only), cruise control guide, navigation with turn-by-turn directions, audio status, hands-free incoming call notices, telephone information, ECO Driving Indicator and energy monitor (hybrid models only), Leather-trimmed front- and second-row seats; heated front seats; 12-way power-adjustable driver's seat including power thigh and lumbar support; 4-way power-adjustable front passenger seat; 60/40 split, sliding and reclining fold-flat second-row seats, SofTex®-trimmed 60/40 split, fold-flat third-row seat with sliding headrests and recline function, Gated shift lever with silver metallic/leather-trimmed knob, silver metallic shift bezel and LED indicator illumination, Leather-trimmed tilt/telescopic 3-spoke steering wheel with metallic accents and audio, Multi-Information Display (MID), Bluetooth® hands-free phone, voice-command Dynamic Radar Cruise Control (DRCC), Lane Departure Alert (LDA) and multimedia controls, Optitron instrumentation with blue-illuminated speedometer and tachometer/hybrid system power meter (hybrid models only) and 4.2-in. color LCD Multi-Information Display, Soft-touch upper door trim with metallic accent, leatherette-trimmed door armrest area with satin chrome interior door handles, Smart Key System on front doors and liftgate with Push Button Start and remote keyless entry system with illuminated entry, Power windows with driver and front passenger auto up/down and jam protection, Rear liftgate window defogger, Power door locks with shift-linked automatic lock/unlock feature, Auto-dimming rearview mirror, Overhead console with maplights, sunglasses storage, conversation mirror and HomeLink® universal transceiver, 24.5-liter soft-touch roll-top center console with removable utility tray, Soft-touch in-dash shelf with easy cable management feature, Eight cup holders and four bottle holders, Dual sun visors with sliding function and illuminated vanity mirrors, Two 12V auxiliary power outlets (one front and one center console), One 120V auxiliary AC power outlet (second row), Five total USB ports53 (three front and two second row), Four cargo area tie-down cargo hooks, Cargo area lights, Front- and second-row-seat reading lights, Second-row retractable window sunshades, Digital clock, Driver Easy Speak — driver voice amplification. Exterior Features: Projector-beam halogen chrome-accent headlights with auto on/off feature, Daytime Running Lights (DRL) with on/off feature, Integrated fog lights, LED taillights and stop lights, Hybrid Blue accent badges, Color-keyed heated power outside mirrors with turn signal lights and blind spot warning indicators, and folding features, Color-keyed outside door handles, Power tilt/slide moonroof with sunshade and jam protection, 18-in. turbine-look alloy wheels with painted finish and black center caps with P245/60R18 105S tires, Black front and rear mudguards, Washer-linked variable intermittent windshield wipers and intermittent rear wiper, Windshield wiper de-icer, UV reduction glass on all windows, High Solar Energy-Absorbing (HSEA) glass on front and rear side windows, Privacy glass on rear side, quarter and liftgate windows, Flip-up rear hatch window, Height-adjustable power liftgate with jam protection, Black side rocker panels, Color-keyed rear spoiler with LED center high-mount stop light, Chromtec® roof rails. Exterior Features: Projector-beam halogen smoked-chrome headlights w/LED Daytime Running Lights (DRL) and auto on/off feature, Headlight-integrated LED Daytime Running Lights (DRL) with on/off feature, Integrated fog lights, Integrated chrome LED fog lights, LED taillights and stop lights, Hybrid Blue accent badges, Color-keyed heated power outside mirrors with memory, turn signal lights and blind spot warning indicators, and puddle lights with folding feature, Color-keyed outside door handles, Power tilt/slide moonroof with sunshade and jam protection, 19-in. 5-spoke Chromtec® alloy wheels and black center caps with P245/55R19 105S tires, Black front and rear mudguards, Washer-linked variable intermittent windshield wipers and intermittent rear wiper, Windshield wiper de-icer, UV reduction glass on all windows, High Solar Energy-Absorbing (HSEA) glass on front and rear side windows, Privacy glass on rear side, quarter and liftgate windows, Flip-up rear hatch window, Height-adjustable power liftgate with jam protection, Color-keyed side rocker panels, Color-keyed rear spoiler with LED center high-mount stop light, Chromtec® roof rails, Rear bumper chrome garnish.